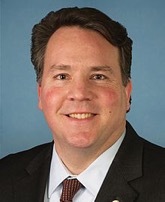 The battle to end taxation of constitutional money has reached the federal level as U.S. Representative Alex Mooney (R-WV) today re-introduced sound money legislation to remove all federal income taxation from gold and silver coins and bullion. The Monetary Metals Tax Neutrality Act (H.R. 1089) backed by the Sound Money Defense League and free-market activists – would clarify that the sale or exchange of precious metals bullion and coins are not to be included in capital gains, losses, or any other type of federal income calculation. “My view, which is backed up by language in the U.S. Constitution, is that gold and silver coins are money and are legal tender,” Rep. Mooney said. Acting unilaterally, Internal Revenue Service bureaucrats have placed gold and silver in the same “collectibles” category as artwork, Beanie Babies, and baseball cards – a classification that subjects the monetary metals to a discriminatorily high long-term capital gains tax rate of 28%. Sound money activists have long pointed out it is inappropriate to apply any federal income tax, regardless of the rate, against the only kind of money named in the U.S. Constitution. And the IRS has never defended how its position squares up with current law. Furthermore, the U.S. Mint continuously mints coins of gold, silver, platinum, and palladium and gives each of these coins a legal tender value denominated in U.S. dollars. This formal status as U.S. money further underscores the peculiarity of the IRS’s tax treatment. But the capital “gain” is not necessarily a real gain. It is often a nominal gain that simply results from the inflation created by the Federal Reserve and the attendant decline in the Federal Reserve Note dollar’s purchasing power. Under Rep. Mooney’s bill, precious metals gains and losses would not be included in any calculations of a taxpayer’s federal taxable income. “The IRS does not let taxpayers deduct the staggering capital losses they suffer when holding Federal Reserve Notes over time,” said Stefan Gleason, president of Money Metals Exchange, a precious metals dealer recently named “Best in the USA” by a global industry ratings group. The text of the H.R. 1089 can be found here. Jp Cortez is the Policy Director for the Sound Money Defense League, a non-partisan, national public policy group working to restore sound money at the state and federal level and publisher of the Sound Money Index.